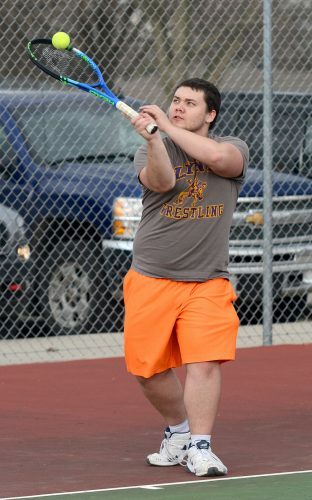 WEBSTER CITY — Moderately calm and sunny in the minutes leading up to the start of play, the whipping winds, dark clouds and cooler temperatures quickly overtook the Webster City High School tennis courts Tuesday afternoon. 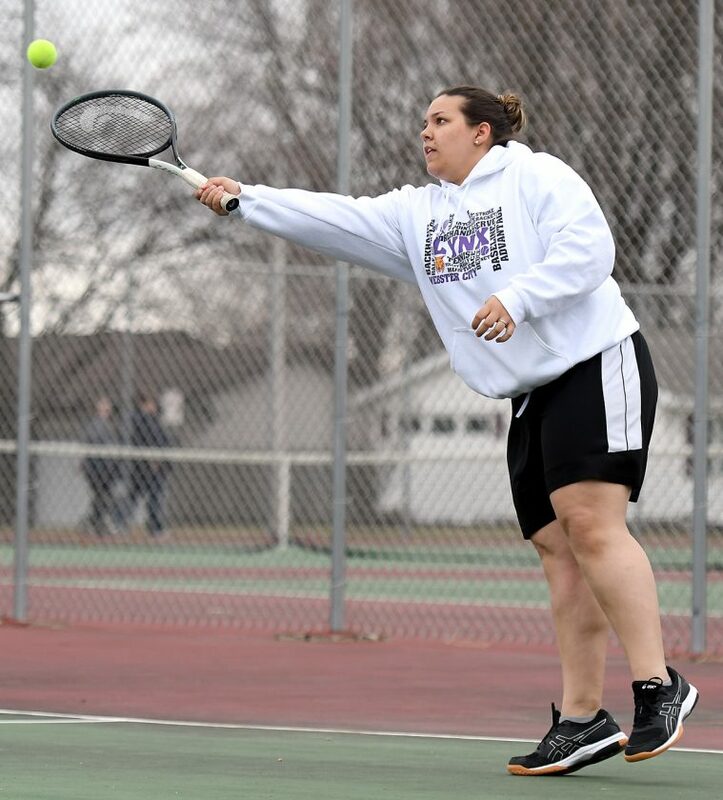 The moods of Mother Nature and the members of the Webster City girls’ tennis team had a lot in common. 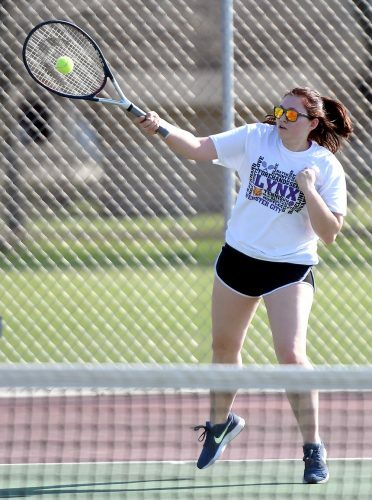 Unable to find anything that worked effectively, the Lynx had an answers for the court assault of Hampton-Dumont in a 9-0 dual-meet loss that lasted less than 90 minutes. Of the 81 games contested, WCHS claimed just nine. The Lynx were without Morgan Arkland, who was penciled into the No. 3 spot in the singles lineup. That propelled freshmen Mackenzie Burney into a varsity role, and she was joined by rookie teammate Kayley Wibholm. 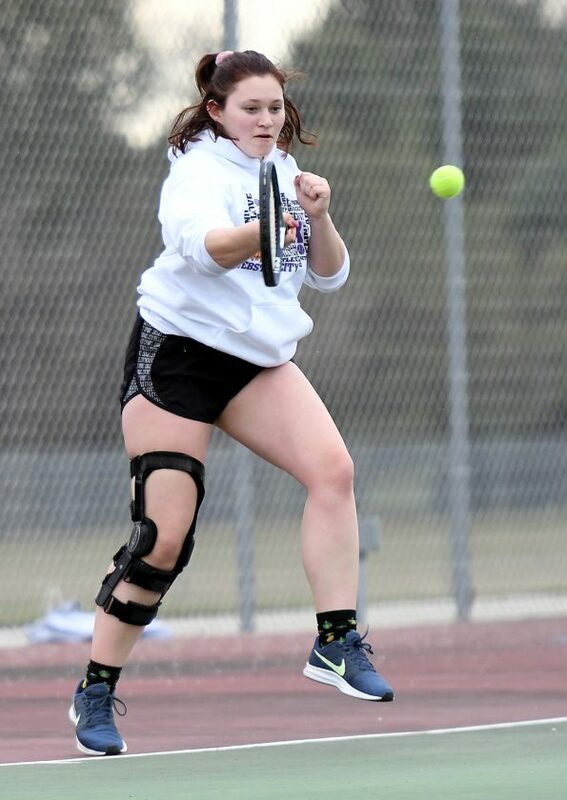 Hampton-Dumont’s Triston Rew and Faith Grover both swept their singles matches, 8-0, while Bianca Tielke, Briana Grover and Erin Plagge were all 8-1 winners. 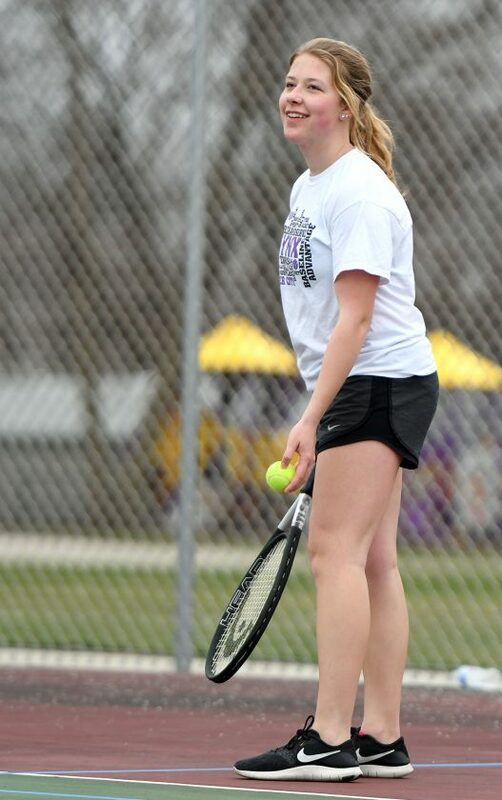 McKenna Dinsdale was the only WCHS singles player to scratch out more than one game. She fell to Jadin Beyer, 8-3, in the No. 3 battle. 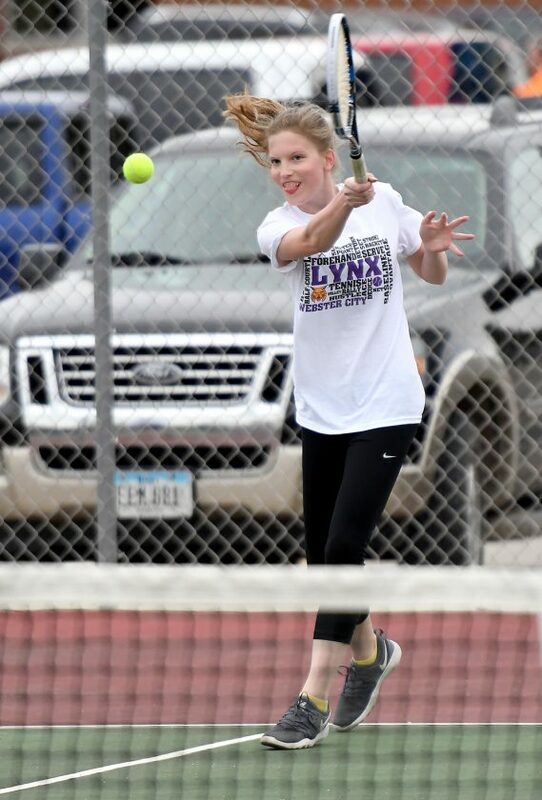 Dinsdale and Kylie Lantz teamed up to win two games in an 8-2 loss to Tielke and Beyer on the doubles courts. Lantz, who sported a encumbering brace on her right knee that limited her mobility, showed the competitive fire that Fisher was looking for, the coach said. “I saw some good improvement and fight from Kylie in both singles and doubles,” he said. 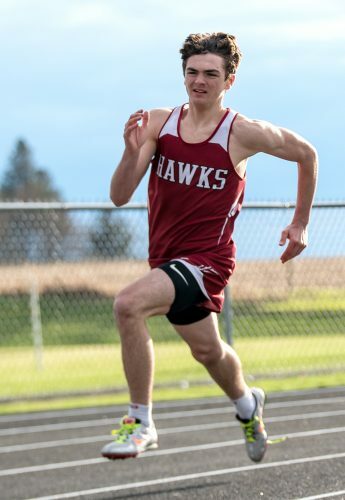 The Lynx (0-2) will look to rebound Friday afternoon, weather permitting, when they’re scheduled to host Grundy Center back at the WCHS courts at 4:30 p.m.
Triston Rew (H-D) def. Hannah Parr 8-0; Bianca Tielke (H-D) def. Teagan Gourley 8-1; Jadin Beyer (H-D) def. McKenna Dinsdale 8-3; Briana Grover (H-D) Kayley Wibholm 8-1; Erin Plagge (H-D) def. Kylie Lantz 8-1; Faith Grover (H-D) def. Mackenzie Burney 8-0. 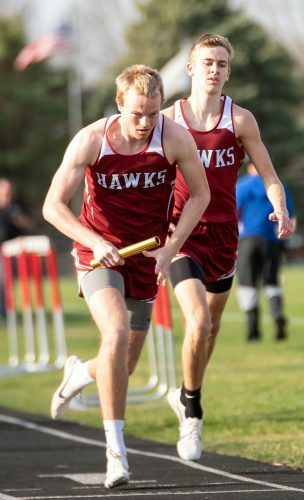 Rew/Plagge (H-D) def. Parr/Gourley 8-0; Tielke/Beyer (H-D) def. Dinsdale/Lantz 8-2; Grover/Grover (H-D) def. Wibholm/Burney 8-1.